How Can PT Help My Spinal Stenosis? Spinal stenosis is one of the most commonly diagnosed conditions that affects the lumbar spine (lower back). It is common for people with stenosis to feel tightness and pain that radiates from the low back and buttocks down into both legs. It is estimated that only about 5% of people with spinal disorders actually require surgery (Eidelson, 2018). So, what are the other 95% of people expected to do? This is where physical therapy comes into play. There are many methods your PT will use in order to help address the issue causing your pain and discomfort. This includes but is not limited to therapeutic exercise, soft tissue mobilization, manual stretching of the hips and spine, and postural re-education. What is spinal stenosis of the lumbar region? 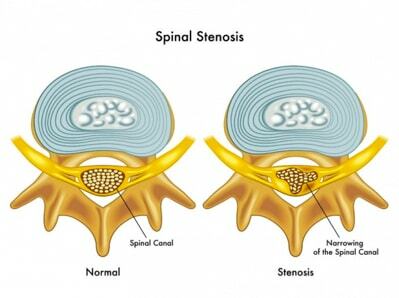 As you can see from the picture above, stenosis of the spine involves a narrowing of the canal in which the spinal cord sits. This leads to increased pressure on the spinal cord as well as the nerves that branch from it. This is the reason why people feel pain in the buttocks and legs; the region of pain stems from a specific section of the spinal cord that is under pressure. For this reason, two people with the same condition will present with different symptoms. How can physical therapy help with this problem? The treatment plan will be specifically tailored to each patient with stenosis. 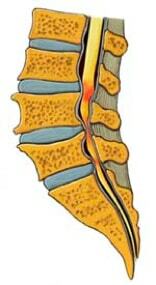 The main objective is to help decompress the spinal cord and its nerve branches by using techniques that create more space in the spinal canal. Bending backward, also known as extension of the lumbar spine, will decrease the space in the spinal canal due to the way the joints of the spine are oriented. This may increase pain and symptoms in a person with spinal stenosis. For this reason, the treatment plan will be focused on utilizing and improving spinal flexion, more commonly known as bending forward. This will help to widen the canal and decompress the inflamed structures, effectively providing relief of symptoms. A comprehensive treatment plan will help you find positions of maximal comfort and give you more drug-free and surgery-free options for taking care of your lumbar spine and preventing pain in the future. Please check out this brief video that provides 3 simple exercises to help decrease symptoms due to lumbar spinal stenosis. 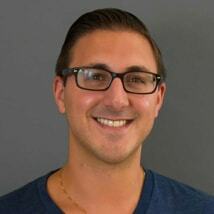 Nick Mazzone received his doctorate in Physical Therapy from Stony Brook University. He has a strong background in strength and conditioning and aims to bridge the gap between strength training and physical therapy. Nick believes that a lifestyle centered around physical fitness and mental well-being are vital to one’s successes and happiness. For this reason, he educates his patients on pain science and helps empower them and motivate them to reach their goals every day. You can find him at Evolve Physical Therapy in Mill Basin, Brooklyn. Newer PostHow Can PT Help My Carpal Tunnel Syndrome? Older PostWhat Does Foam Rolling Do for Me?